The journalists who cover Bollywood in Mumbai are notorious for asking embarrassing questions to stars. Most of the times, the stars too are prepared to retort equally cheekily to the questions. 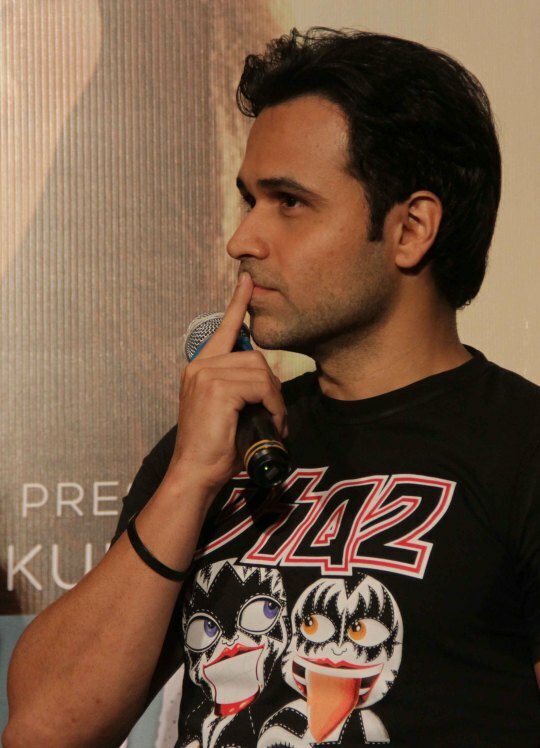 Emraan Hashmi has a feeling that an unusual question is coming his way. This is the look of anticipation. Then the question was thrown at him. Look at him! He just can’t believe that he has to answer the question. 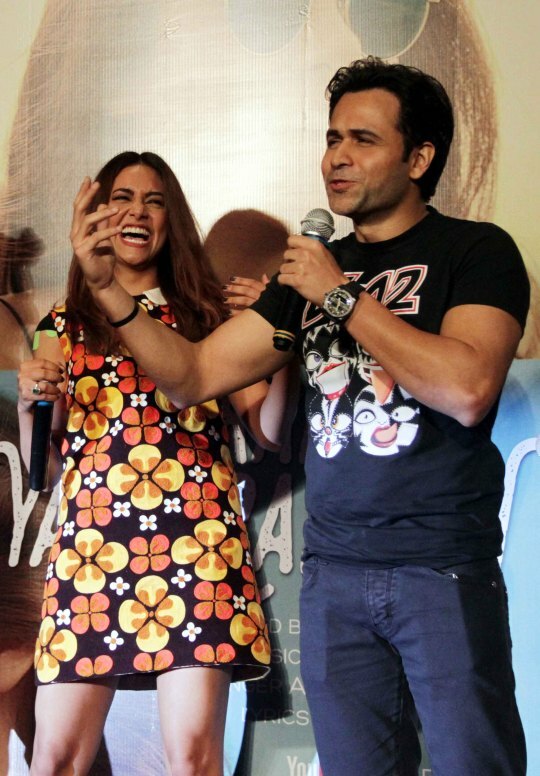 While his co-star Esha Gupta is in splits, Emraan Hashmi doesn’t know what to do or what to say. He just can’t believe that he has to answer the question even as Esha Gupta continues laughing her guts out. Time for Emraan to be equally funny and retort. Emraan managed to give an equally hilarious answer. The person who was enjoying the most was obviously Esha who just couldn’t stop giggling standing beside him. Do you know when you laugh and giggle too much there’s tears in your eyes? Well, this is what exactly happened here. We are glad that some Bollywood still have their sense of humour intact.